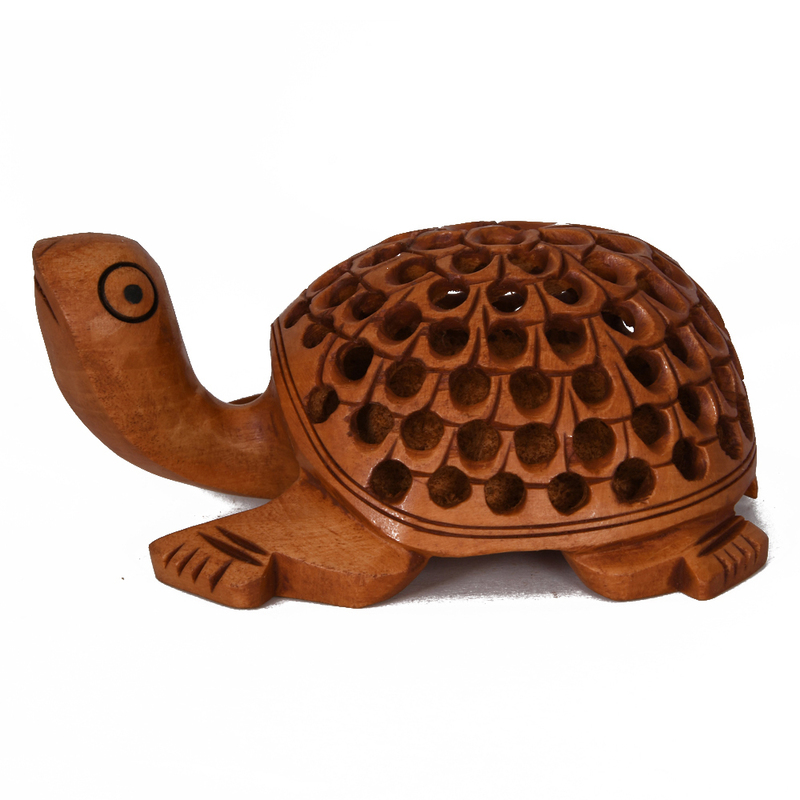 Get this beautiful handmade wooden tortoise exclusively, and at the best price. This will be a valuable addition to any living room. 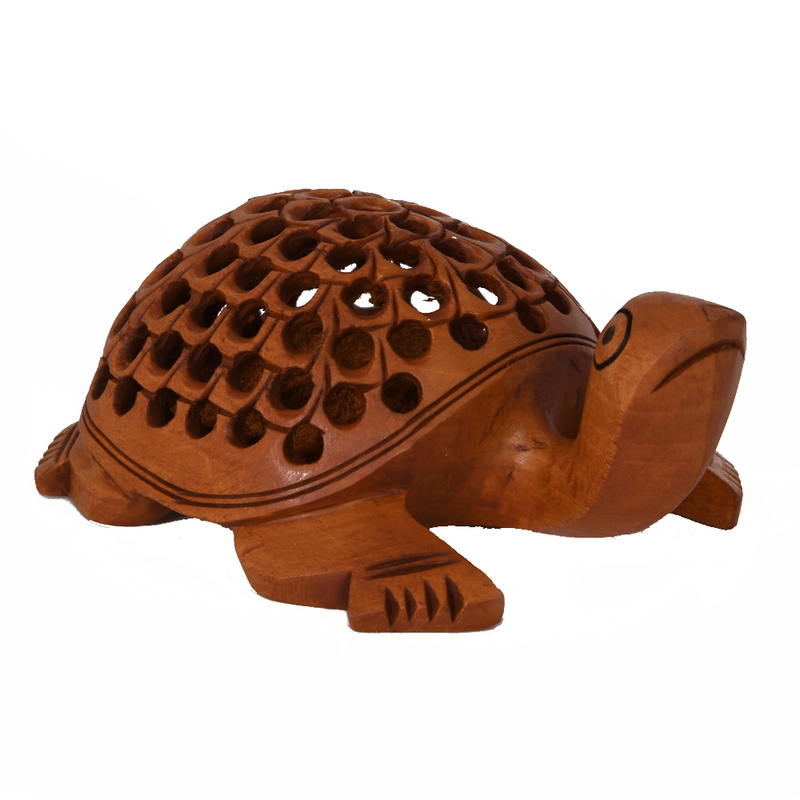 This beautiful wooden tortoise is made completely out of wood. The designing, and concept of this show piece makes it a valuable addition to any Read More..room, especially the living room. The carving strokes are quite pleasing aesthetically, as the entire carvings has subtle strokes which makes it quite pleasant on the eye. 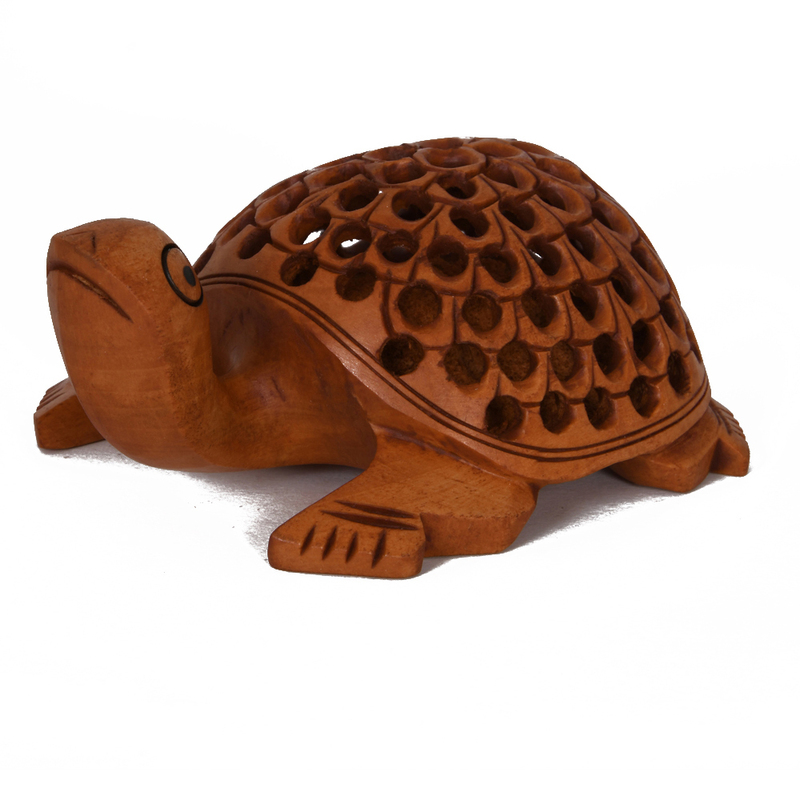 The shell of the tortoise has a cluster of holes which makes it quite light. The features of this showpiece are very minimalistic. The brown polishing also goes quite well with the showpiece, because it is not very loud, but on the subtle side. Show Less..